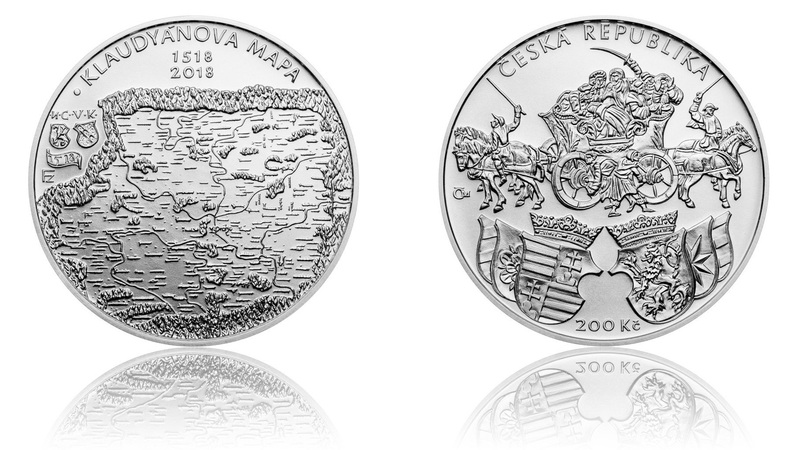 The National Bank of the Czech Republic have issued (28th February) new collector silver coins which remember the 500th anniversary of one of the country’s oldest cartographic memories — the Klaudyan map — with an origin that dates back to 1518. In the course of 500 years, its creation was considered a great source of invaluable information from the beginning of the 16th century with regard to the territory of Czech lands. This extraordinary map was the work of the versatile scholar Nicholas, known as Klaudyan, who lived in Mladá Boleslav at that time. He started his work as a doctor and pharmacist, but then focused his energy on the concept of printing and art, which he considered to be a breakthrough for spreading important ideas. 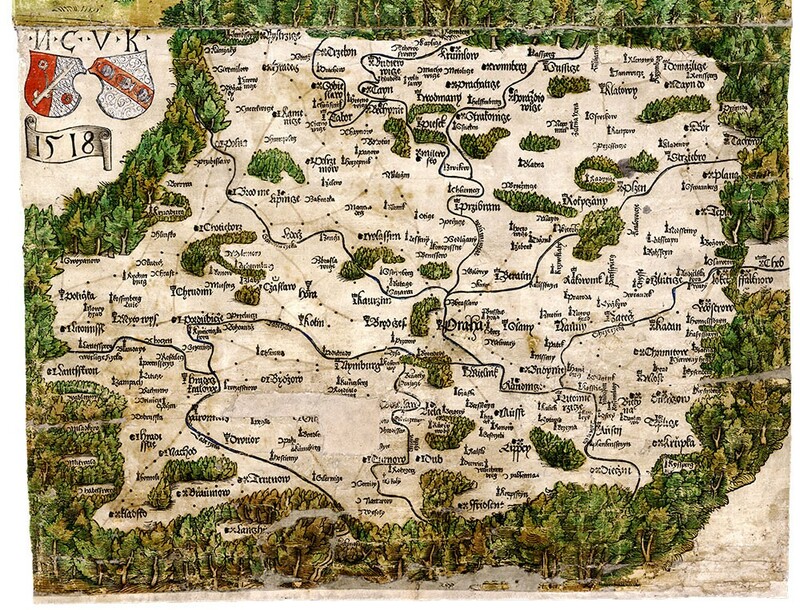 The story of the oldest printed map of Bohemia (in the present-day Czech Republic), which was published in 1518, was not just an ordinary map, but an allegorical letter enriched with the era’s reflection and of the relations seen by the followers of the Protestant unity of the brethren. The actual map, which served as a guide for pilgrims traveling to Rome, is the focus of the illustrations at the bottom third of the print. 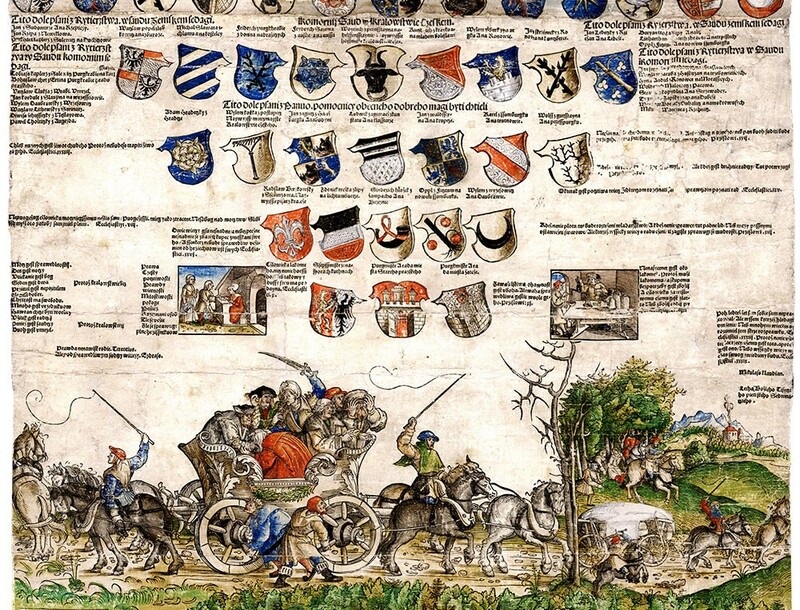 The upper two-thirds are dedicated to social, moral, and religious scenes, the most striking being the graphics of a wagon fitted with angry passengers that are depicted facing in both directions — possibly symbolising the religious division of the country and its tumultuous political climate of the time. 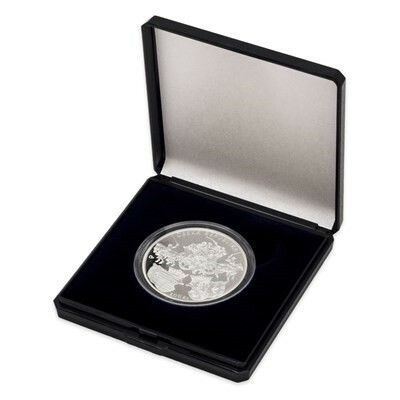 The coin is produced by the Czech Mint at their facilities in Prague on behalf of the National Bank and was designed by sculptor Zbyněk Fojtů, who was one of the most successful contestants in the Czech National Bank’s artistic competitions. 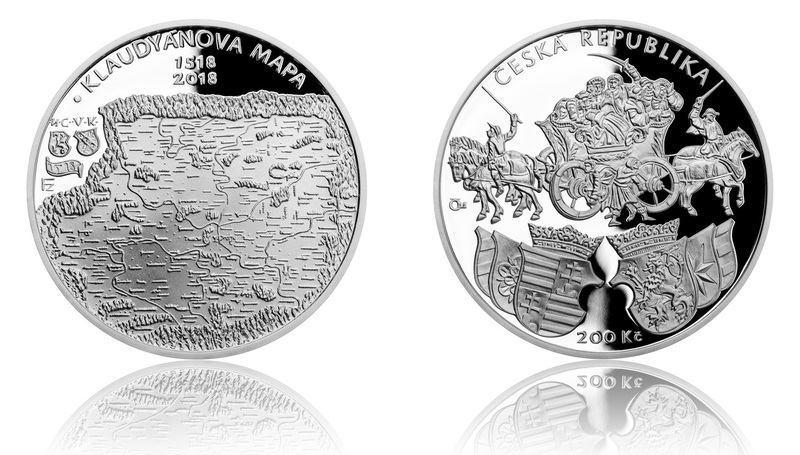 The obverse depicts a detailed and intricately crafted image of the map itself, along with the inscription KLAUDYANOVA MAPA 1518 2018. The reverse is dedicated to the legendary scene with the horse cart and pilgrims together with a series of heraldic symbols relevant in the 16th century. 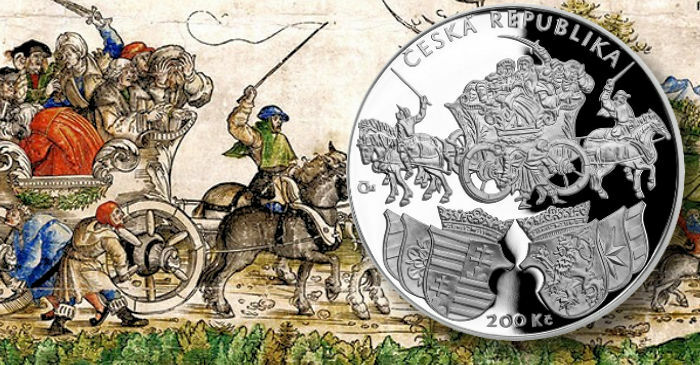 The nominal value of 200 Kc is seen just under the series of crests and the text of CESKA REPUBLIKA is seen above the primary design. 13 g 31 mm Brilliant Unc.